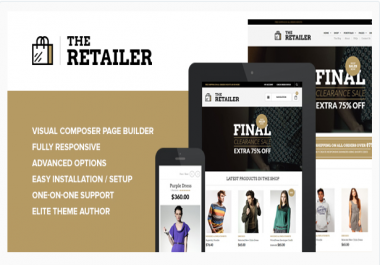 I have a installed The Retailer woo-commerce wordpress template in one of my sub domains. I want someone to configure it (e.g. putting images and customizing the website) using the original websites content. Let me know if you can do it. I need this to be completed within 5 days. This is a basic task. If you do it properly I will give you more work as I'm looking for good web designers for business. Thank you.